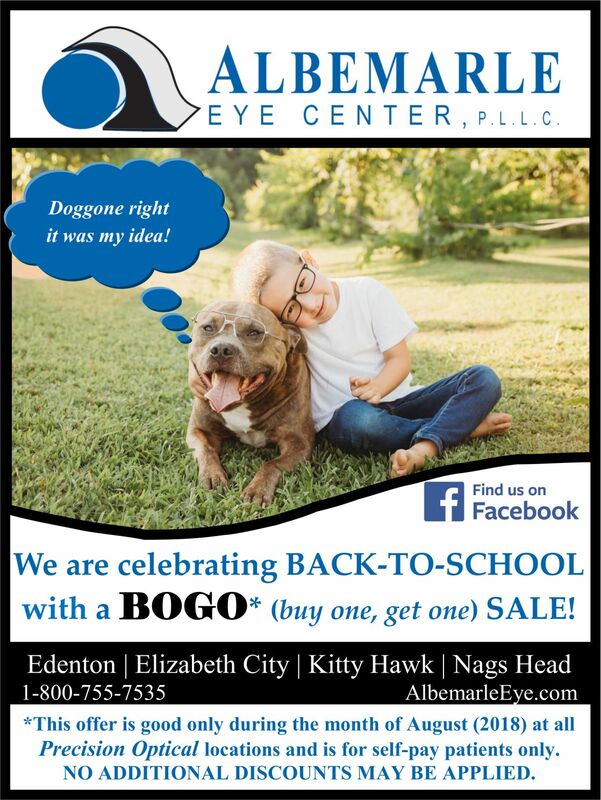 The experts at Albemarle Eye Center, PLLC (AEC) and Precision Eye Care (PEC) provide a wide range of ophthalmic services throughout eastern and northeastern North Carolina including Edenton, Elizabeth City, Kinston, Kitty Hawk, Nags Head and Washington locations. Precision Optical Shop (POS), our in-house optical shop, is pleased to provide five locations throughout eastern and northeastern NC to better serve you, including Edenton, Elizabeth City, Kitty Hawk, Nags Head and Washington. AEC, PEC and POS are owned by Jitendra Swarup, MD. Dr. Swarup attended medical school in Washington, D.C. at prestigious Howard University. He completed his residency at Sinai Hospital in Detroit, MI, where he served as Chief Resident. Dr. Swarup and the ophthalmologist experts at AEC and PEC provide a wide range of ophthalmic services ranging from LASIK laser eye surgery, LenSx® Laser Cataract Removal, oculoplastics, glaucoma treatment, in addition to routine eye exams and contact lens fittings. Our team of eye doctors is proud to provide personalized service with an unparalleled commitment to excellence. Our practice is dedicated to providing you and your family with qualityeye care and state-of-the-art medical and surgical treatment. Dr. Swarup is one of the world's leading cataract surgeons. He has authored and co-authored numerous papers and has served on laser cataract surgery panels. He is dedicated to providing the best possible care and believes one way to accomplish this is to stay current with rapidly advancing technology. He continues to be a principal investigator in several cataract and intraocular lens research studies. Dr. Swarup specializes in advanced technology laser cataract surgery, as well as glaucoma surgery, Lasik surgery, eye and facial plastic surgery, the treatment of diabetic eye disease and oculoplastic surgery in both therapeutic and cosmetic cases. He is the only area physician offering LenSx© laser cataract surgery and advanced technology, multi-focal and astigmatism-correcting, intraocular lens implants. We are pleased to offer services ranging from LASIK laser eye surgery, LenSx Laser Cataract Removal, oculoplastics, glaucoma treatment, in addition to routine eye exams and contact lens fittings. The team of eye doctors at AEC and PEC is proud to provide personalized services with an unparalleled commitment to excellence. Our practices are dedicated to providing you and your family with quality eye care and state-of-the-art medical and surgical treatment. We welcome you to our practices, and we appreciate the opportunity to serve your eye care needs. If you have any questions, please do not hesitate to ask our staff. Schedule your appointment today by calling us at 1-800-755-7535, and let the skilled optometrists and ophthalmologists at AEC and PEC help you experience life-changing clarity or visit our website at AlbemarleEye.com for more information. Precision Eye Care (PEC) and Precision Optical Shop (POS) are divisions of Albemarle Eye Center, PLLC (AEC).